Inspiration stands off at a distance, but then, just when you aren't looking it drops on you like a ton of bricks. "[I] walked under a lampost and one hit me on the head." 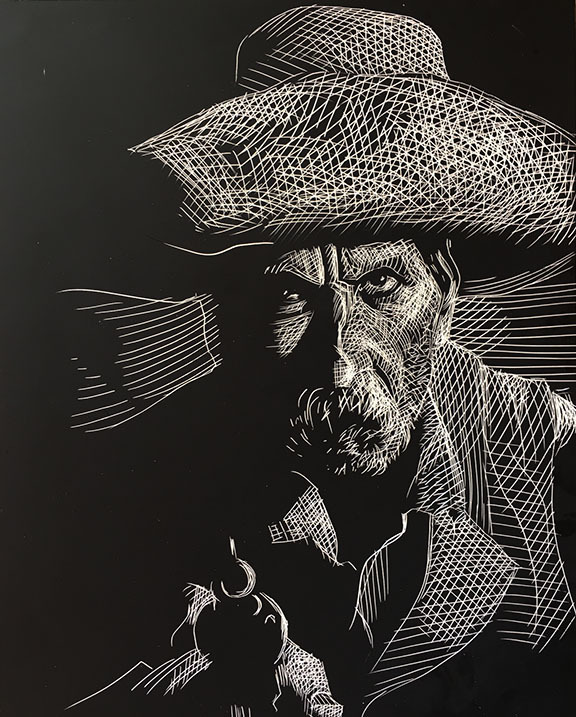 —Dan Auerbach (singing the song John Prine wrote), "Waiting On A Song"
Reading "The Power And The Glory" has inspired me and reinvigorated my desire to do a Mexican story that I have carried around with me for quite some time. It's about a blue-eyed vaquero (the Mexicans call him Gringo Ojos) out of Baja who is on a quest to bring back a stolen stud that belonged to his employer, a prominent jefe in the Baja region. "I'm an idealist. I don't know where I'm going but I'm on the way."